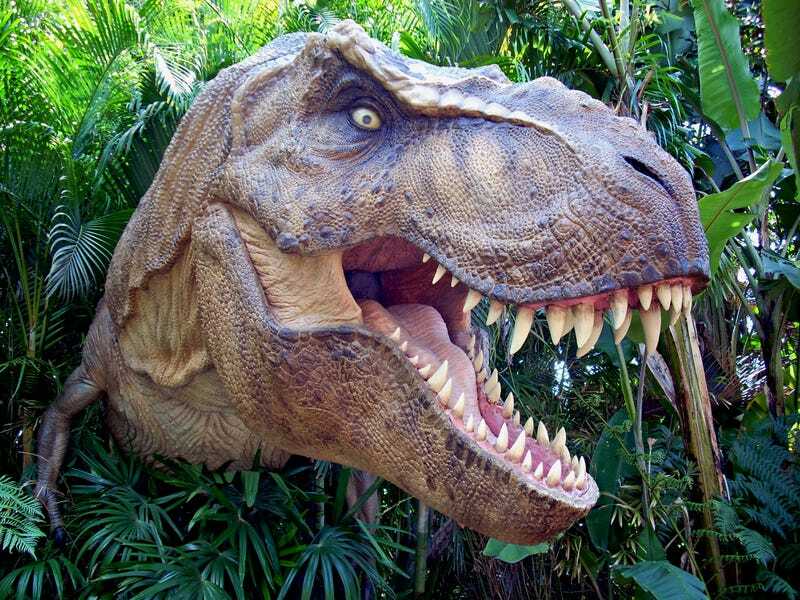 Robert Reisz, who presented his findings at the Canadian Society of Vertebrate Paleontology on Friday, argues that while most artistic and scientific renderings of therapods such as the Tyrannosaurus Rex show large rows of sharp teeth sticking out, that was probably not the case. Reisz looked to modern-day reptiles to answer this question. These creatures need a thin layer of enamel on the teeth for protection. Because lips are used to protect and moisten the environment for teeth, normally creatures that spend their time in water don’t need lips, such as crocodiles. Teeth for land animals, such as monitor lizards, require different protections. So we’re probably not talking big, pouty lips. Most likely, according to Reisz, these dinosaurs had thin, scaly lips. “In popular culture, we imagine dinosaurs as more ferocious-looking, but that is not the case,” he said.